Association of Crohn’s Disease and Celiac Disease: Causal link or only coincidence? 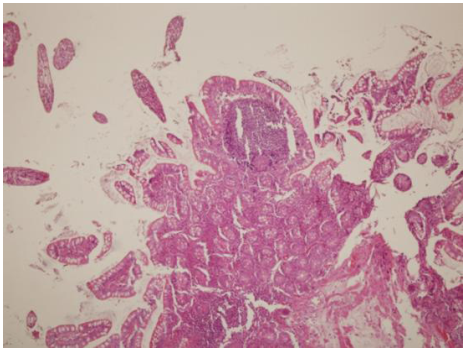 Crohn’s disease (CD) is a chronic inflammatory bowel disease that affects any part of the gastrointestinal tract, most commonly terminal ileum and proximal colon; and Celiac Disease (CeD) is immuno-mediated systemic disease caused by gluten and similar prolamins in genetically susceptible individuals. Concomitant occurrence of CD and CeD is rare and there are limited literature data regarding the association of CeD to CD. Although, recent findings propose shared mechanisms, genetics and functional pathways. Herein, we report a case that has co-occurrence of CD and CeD and rewiew the literature of the association between these two diseases.